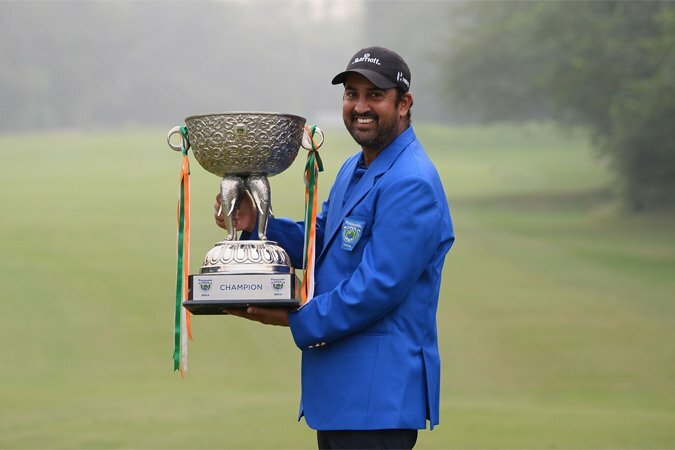 New Delhi, Nov 6: Moments after realising his lifelong dream of clinching a title at his home course, an emotional Shiv Kapur said he is lost for words and this win will take some time to sink in. Kapur carded a four-under 68 in the final round to notch up a three-stroke win at the Panasonic Open India today. "It s an amazing feeling. This victory has not really sunk in yet but when I was walking down the 18th, I was really trying to hold back the emotions. I am lost for words, you dream about winning, you plan things but I never got that far in my career so I never really prepared a speech in my life, Kapur said. "I grew up playing golf here and told myself I got to win at the Delhi Golf Club one day. So no words can actually describe how I m feeling right now. The reception I got when I was coming up the 18 was just amazing. It was well worth the wait. "I was telling myself just finish the race, and it s just amazing to be able to do it. It s amazing to have two wins this year and I have to thank a lot of people for believing in me and supporting me. The form is good and the confidence is high, so there s no reason why I cannot win again, he added. Kapur said he was envious to see his friends and colleagues win at the DGC while a victory eluded him. "Of course, I have been waiting for it for a long long time. So it is a huge monkey off my back. But I don t think I played my best golf but still shot 17-under, so I take a lot of positive, said Kapur, who added that he was calm and patient at the course. "All these years, I had seen my friends, from Gaurav Ghei to Arjun Atwal to Chiragh Kumar, SSP, Anirban and so many win. I would be envious and keep dreaming about winning here. "Now I will be more relaxed than what I was this week. So many thoughts are swirling in my mind the week before Yeangder I was wondering if I would win again on Asian Tour, I was not happy with game and so on. Then Yeangder happened, then a second in Thailand and now this Panasonic Open. With so many events still left in the season one more win would be nice. I am off to Manila tomorrow. Talking about his strategy, Kapur said: I was very aggressive the first few days but I had a pretty conservative strategy today. I just wanted to eliminate the mistakes on the card and I started off playing really steady. Sharing the lead after the third round, Kapur birdied the first but parred the rest to make the turn at one-under but his back nine started with a bogey on the 10th. Kapur said the bogey actually fired him up. "The birdies on 11th and 12th gave me a cushion and standing on 14th I told myself this was tournament to win. I wanted to take it by the scruff so to say and win. I went all out after that and went for the flags. When the birdies dropped on 14th and 15th for a three-shot lead I knew I had to play smart. At the 18th hole where he had dropped an eagle yesterday, Kapur said he decided to go with a 3-Wood. "I have never played anything but this time I went for 3 -Wood. Actually I don t know how to hit a 3-wood on 18th. Then when the second shot landed on fairway, I knew the win was near. I knew that par was good enough. The margin of three looks big, it till a little before that it was very tight. 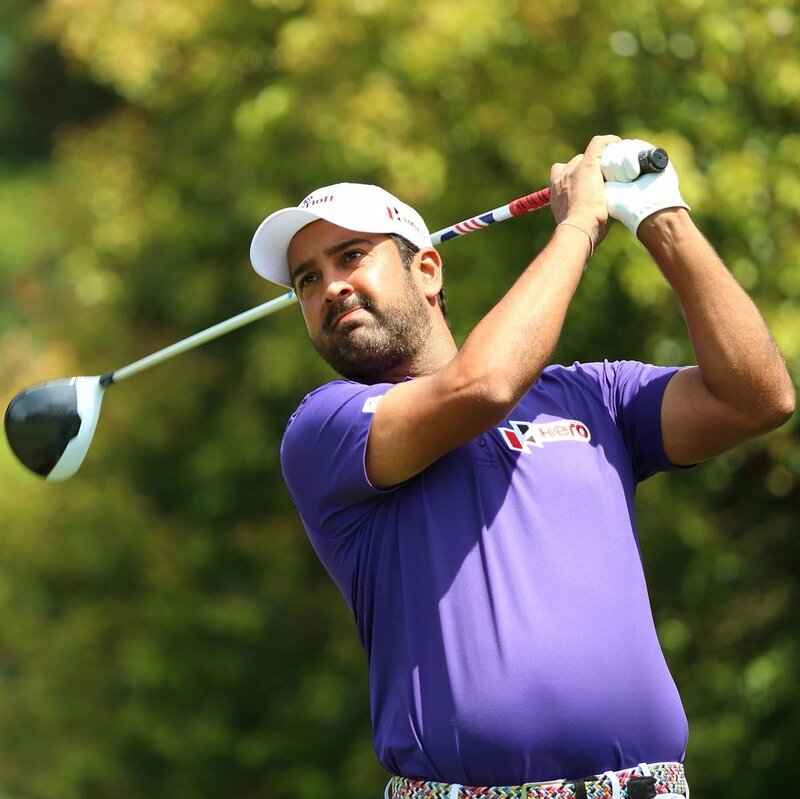 Kapur had won the Volvo masters in 2005 and only won his second Asian Tour event this year at Yeangder Heritage in April and finished second at the Thailand Open this season. He also won the Gujarat Kensville Challenge and Dubai Festival City Challenge tour Grand Final in 2013. "I don t undermine any victory. When I won the Volvo masters it was a spring board for me and then there was a long gap and I didn t know if I will be able to win here but Yeangder win gave me the belief that I can win again and winning here after all these years is really special. But I think all wins have their own place in my heart, he said. As many as nine Indians were in the top 10 and Kapur said it showed that Indian golf is in safe hands. "Look at the leaderboard, it is great to see so many Indians. Ajeetesh is obviously having a dream run, I saw his name, Karandeep did so well, Chirag not so old, Sudir Sharma I saw him play for the first time,to play under so much pressure and to hold up for four rounds in not easy, he said. "The PGTI is stronger, they have created so many players and they will keep me on my toes, like I did when Jeev (Milkha Singh) and Jyoti (Randhawa) were getting older and hopefully I can keep up, he added.